Morel Mushrooms - All You Ever Wanted to Know About Morel Mushrooms! 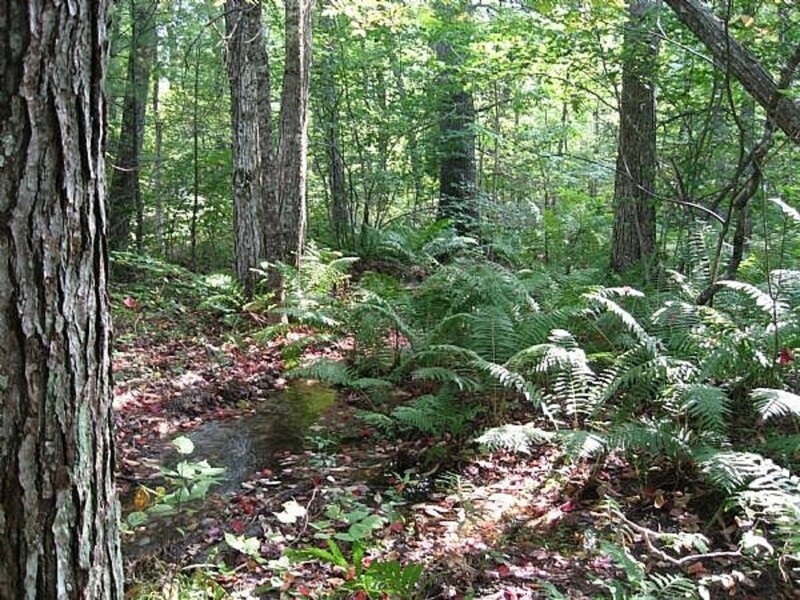 Virginia has years of experience with gardening and wild pests in New Hampshire and other locales. Morel mushrooms are among the tastiest treasures you'll ever find. 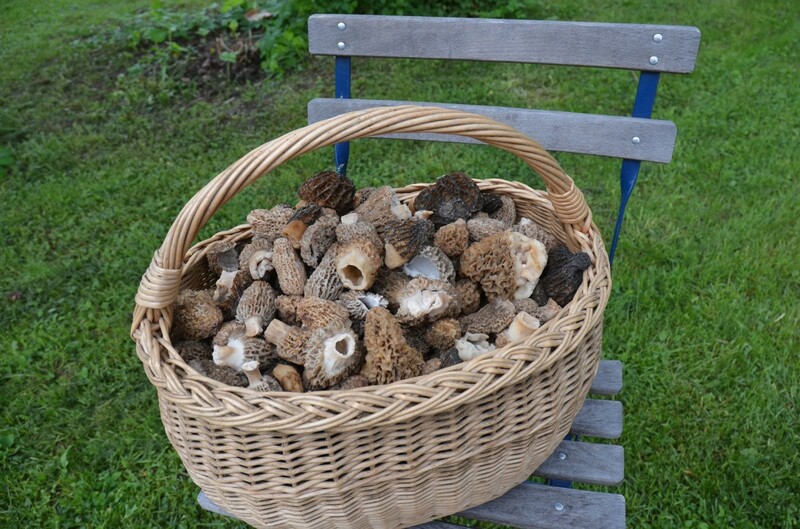 And, yes, unless you cheat and buy your morel mushrooms (selling morel mushrooms will gain you a hefty sum, but prepare to pay through the nose to buy them), you do have to actually hunt for morel mushrooms. 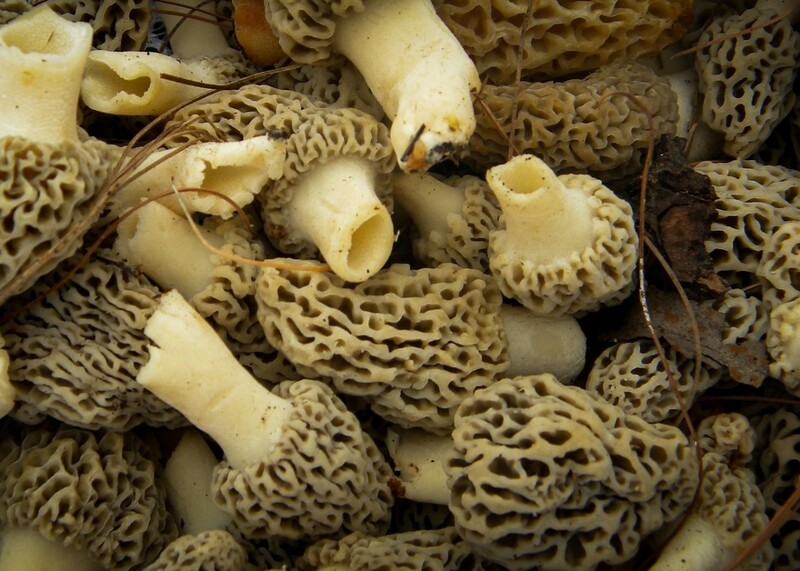 Most morel mushroom hunters quickly become addicted to hunting for morel mushrooms, even if they don't like eating them. I must admit, I've never met a morel mushroom hunter who didn't love them - myself included. My friend and her husband used to pack lunches and take their kids out to a favorite morel hunting spot and spend the entire day filling their bags with mushroom treasures. They held little contests over who could find the biggest morel mushroom, the most morel mushrooms and even the first morel mushroom. The kids loved the game of finding these. The parents loved that they got outside and got lots of exercise. Later, the family had a real feast, if it was a lucky hunting day. Near trees. Favorites are poplar, ash, elm, maple and fruit trees. They like to hide under leaves so use your walking stick or long branch to gently move leaves out of your way. Around dead tree stumps. The longer they have been dead, the better. Areas that have been timbered, usually 3 years afterwards is ideal. Around other morels! Find one, start looking for more! Find 10 or more in one area, you'd better remember the spot and check it often. Mesick, Michigan! Mesick, Michigan is the morel mushroom capital of the world. This tiny, quaint town is all decked out in morel mushroom signs, statues and other morel mushroom paraphernalia. 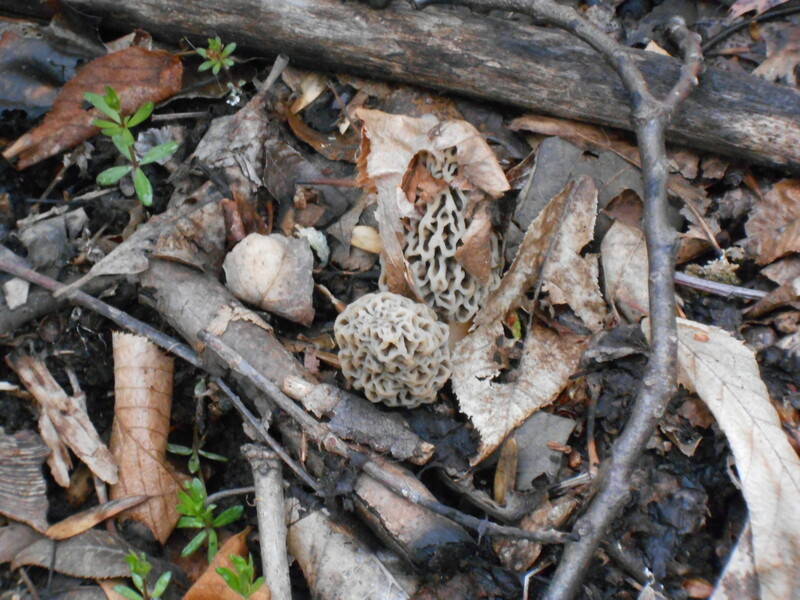 If you can't find morel mushrooms in Mesick, Michigan, you can't find them anywhere! Have You Found Morels in the Wild? No, I've looked but haven't found any. 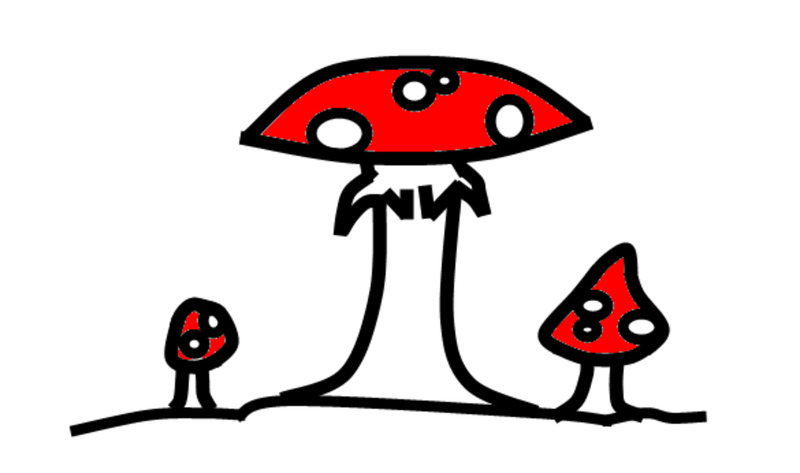 No, I'm afraid of wild mushrooms, so just eat them in restaurants. Pinch Off the Morel Mushroom - Don't Pull it up by the Roots. 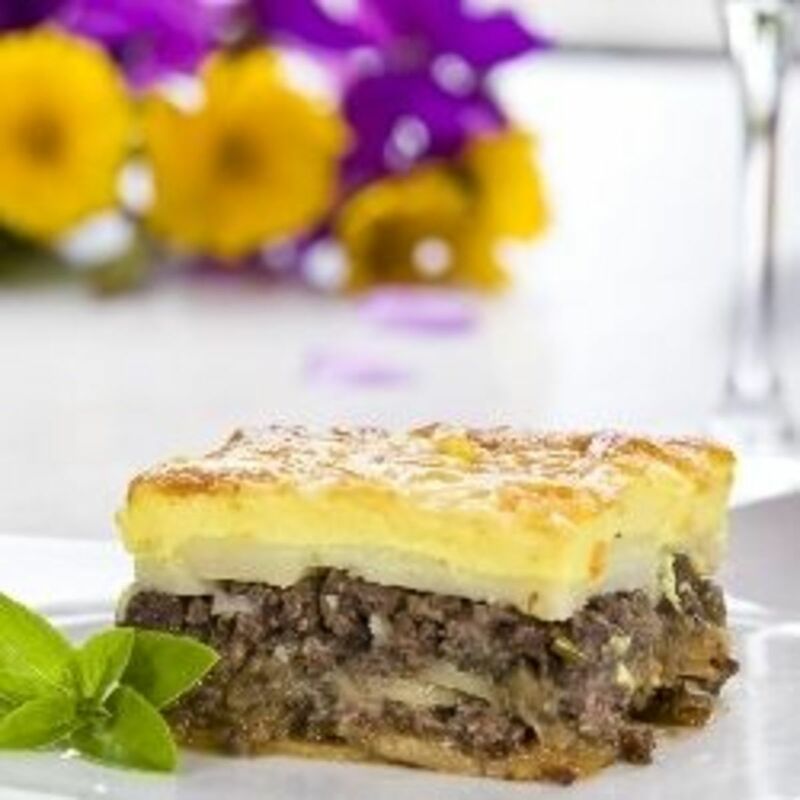 Knowing where is one thing but HOW to find morel mushrooms is quite another. It took me forever to get the hang of what I was looking for. What helped me most was to stop looking so long and slow. Pan your eyes, don't stare. It also helps to squat down and get a good look this way once you've found one so you can be sure and score the entire morel family. Another tip is to hold another morel mushroom in your hand to remind you what you are looking for, if you have one and are new to the sport of morel hunting. If you have a more experienced morel mushroom hunter with you (strongly advised! ), have them tell you when they discover a morel mushroom and test you to see if you can find it before they point it out or pick it. This gives you valuable practice in how to find morel mushrooms and train your eyes to find them. One thing that you need to do, when you find one shake it a bit so the spores are deposited back on the ground. That way there will, hopefully, be more there next year. Amazon has a nice selection of books for those who are passionate about their morels and hunting for morels! You can also check at the public library. 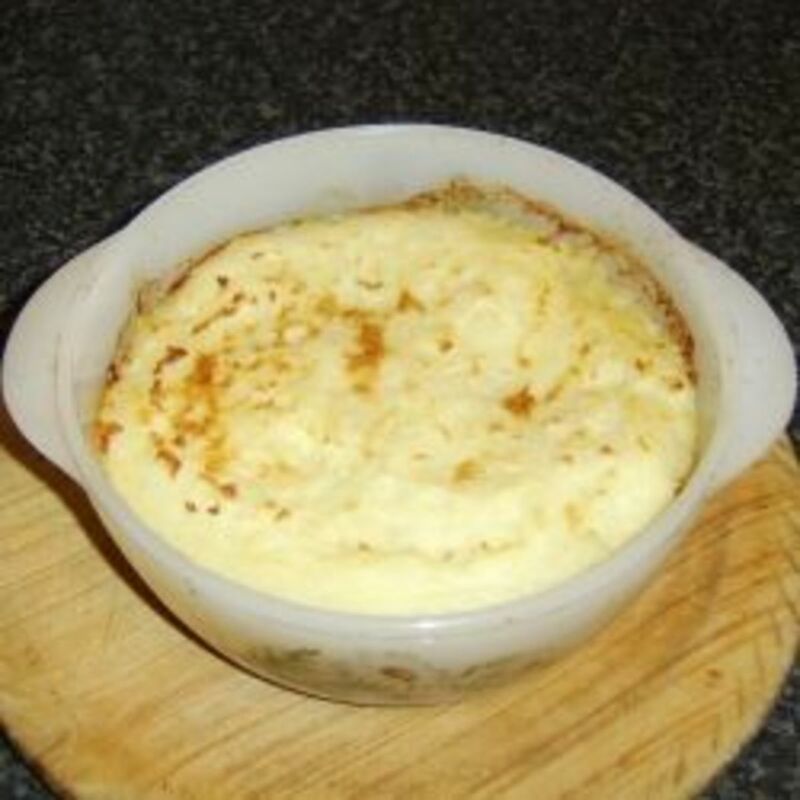 Never eat any wild found mushroom without having it properly identified. Your county extension office will do this for you for free. Once you know for sure, then happy hunting! 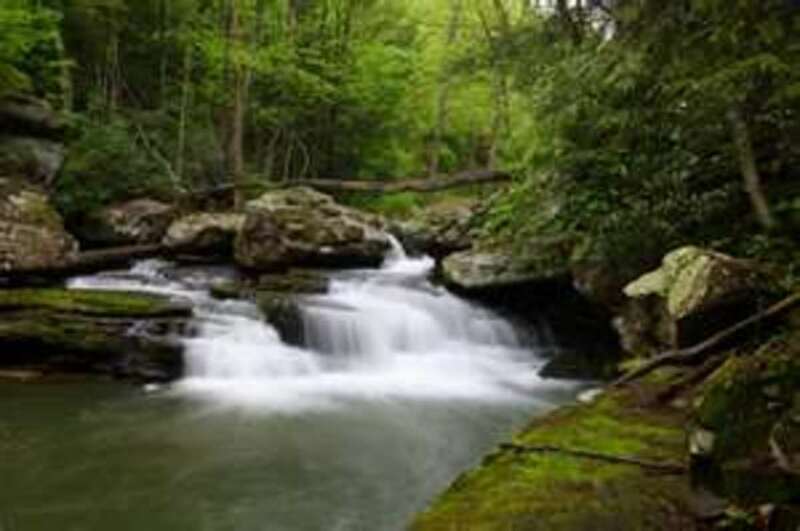 Karen - 4 years ago - "Last summer my daughter and I went along with my Mom on a drive out to the country so she could show us where she and Dad used to go morel hunting. It had gotten so overgrown that we couldn't find the right turn off, so we contented ourselves with having Mom identify all the wildflowers we came across. 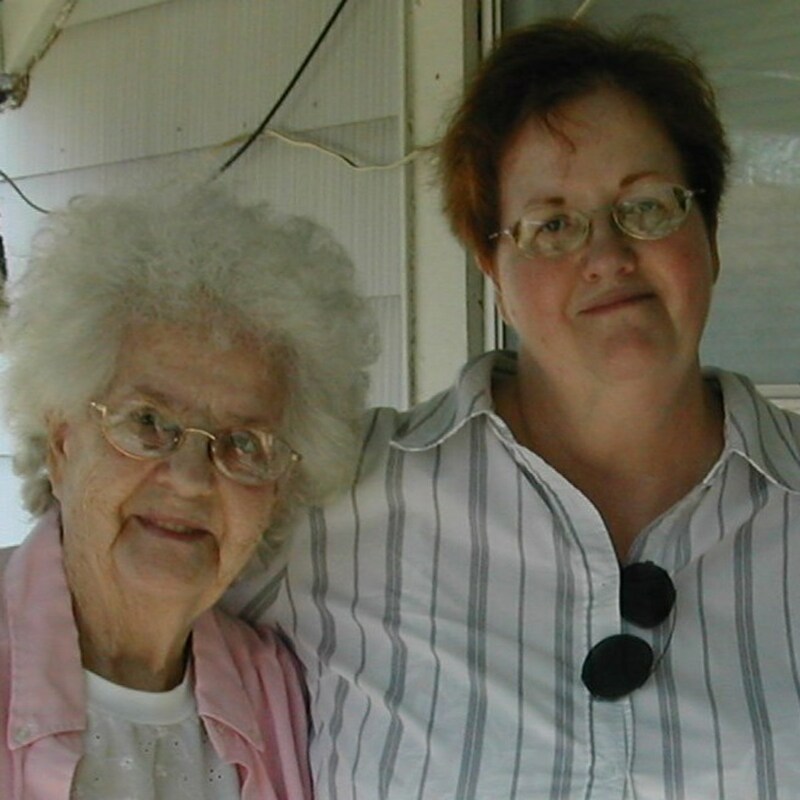 Glad my daughter and I have these memories since Mom passed away shortly before Christmas that year." 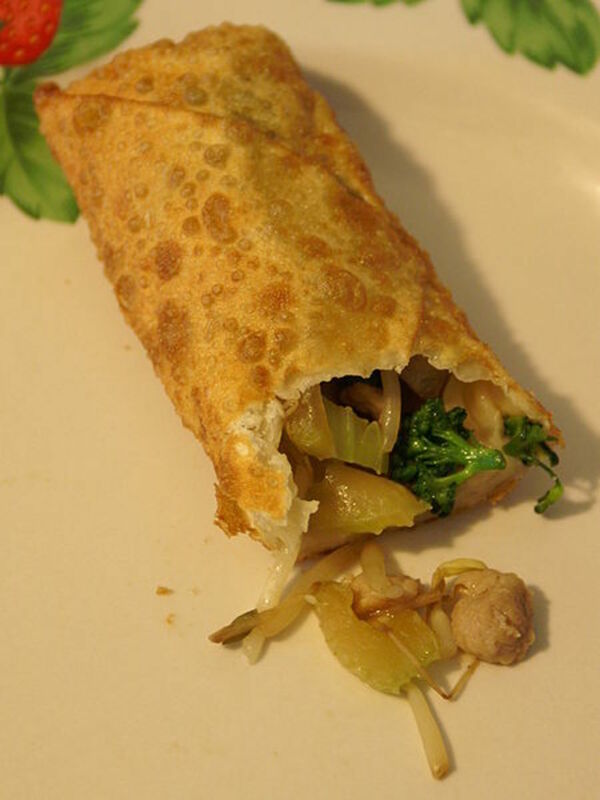 Have You Ever Eaten Morel Mushrooms? No, I hate mushrooms and don't know why I'm even reading this page. Drying morel mushrooms is the perfect way to preserve some of your morel mushrooms if you are lucky enough to have found more mushrooms than you can possibly eat fresh. Lucky you. It is surprisingly easy to dry them! With a needle and thread, string your clean and dry morel mushrooms by inserting the needle and thread through the stem of each freshly picked morel mushroom, leaving a few inches of empty space between each. 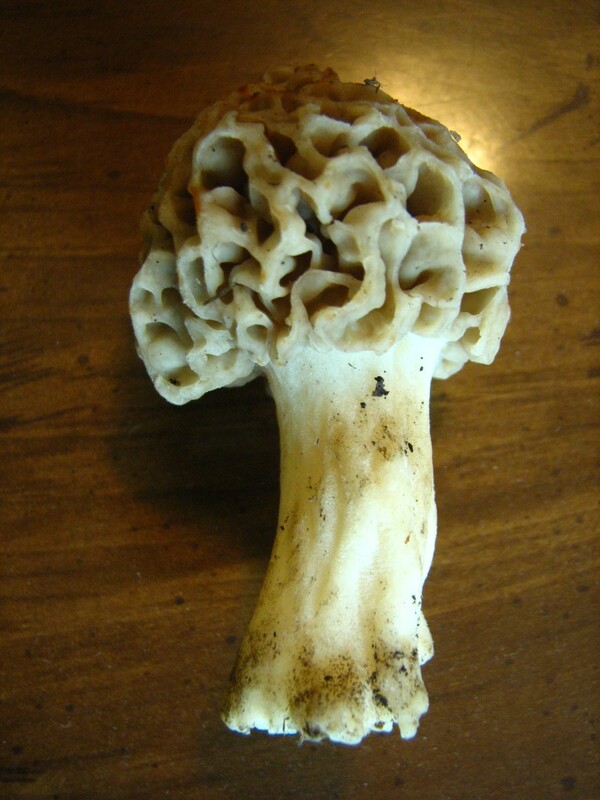 Hang these in a dry place until all moisture has evaporated from the morel, leaving a crispy, wrinkled mushroom. Once completely dried out, store in an airtight container until ready to use in your favorite morel mushroom recipe. Comments on morel mushrooms and the information found here is appreciated. We used to hunt for morels...it was so fun! :) I don't think I've ever eaten one, though. I love morels too and used to live in an area where I had an endless supply of them...a taste you have to taste, you have me dreaming! I love mushrooms and they grow wild in our area, but I'm not familiar enough with the edible morel mushroom to risk picking any myself. I'm back to say how much I enjoyed this page and all the pictures and tips. Well done. I don't think I have every seen these around here in Connecticut. Maybe I have to look harder. It seems they would be easy to identify as being different from other mushrooms. Goodness, this is a cracking lens. I love looking for wild mushrooms, but I'm only confident of two or three. Our region of southern Limousin, France, near the Dordogne, is famous for its ceps, and you cna find various field mushrooms growing by the kilo in a good year. I've never found any Morell mushrooms though. I love photographing mushrooms in the woods, but haven't run across any that look like this. My parents collect inky cap mushrooms and cook them to eat.